Have you ever doodled with Doodle? This free internet calendar tool is all about easy scheduling. In the manic world that is academia— where you often have to balance home life, teaching, research and extra-curricular activities— finding a suitable time for people to meet, who have such different timetables and demands, wastes precious time. Yet, the nature of academia requires that we meet with others on a regular basis, thrash out ideas and make time to collaborate. Anything that makes this task even fractionally easier is good news. The basic set up (outlined in the step-by-step instructions blow) is simple and easy to use. 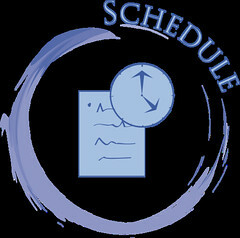 Doodle uses a simple “polling” system which allows each individual to cast a vote on the best time for them to meet, according to the days and times that you set. Once each person has cast their vote, you can “close” the poll, and Doodle works out the most suitable time and notifies the participants by email. The way to get the most out of Doodle is to integrate Doodle with your Microsoft Outlook, Yahoo calendar, Google calendar, or Apple iCal, which syncs your Doodle meetings with all these other calendars, updating them automatically whenever you set up a poll. Who needs a diary? Doodle does all the remembering for you. On the page doodle.com/calendar click ‘Calendar Connect’ and then select ‘Connect with Google’, or whichever service you use. You will then be redirected to a page which will allow you to connect with your calendar instantly. More information about using Doodle Calendar Connect can be found on the Doodle website. Share: Share your links with other users and find and follow Delicious collectors with similar interests. The great thing about Delicious is that it can be used in a variety of situations. So, for example, while I have collected links around the theme of Jane Austen in preparation for an article I hope to publish, I have also been able to build a stack of links on the theme of the Romantic Period Novel and share it with my students and colleagues, making it either private (for a select group) or public (available to all Delicious users). Crucially, Delicious allows you to increase your search power and locate the best resources on the internet by engaging with other users, utilising a “collective intelligence” that has only been realised in recent years. With over 15 billion web pages on the internet, it can be very difficult to sort the wheat from the chaff—to pick out the best bits of information. One way you can optimise the benefits of Delicious is by building up a network of “friends” (there are 5.3 million users of Delicious), selecting those with similar research interests, “following” them (just like you would on Twitter) and letting them do all the hard research for you—just like a good friend should! Simply click on their profile and select “follow”. For thing 15 we’re asking you to register for Delicious and bookmark or “tag” some useful sites. Follow the step-by-step instructions to get started.